흥녕사를 크게 발전시킨 징효대사의 행적을 기리기 위해 세운 석비로, 거의 완전한 형태로 보존되고 있다. 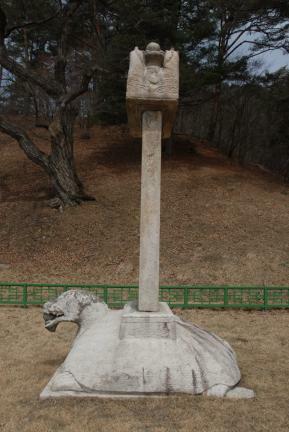 거북 모양의 받침돌 위에 비몸을 올리고, 그 위에 용머리가 조각된 머릿돌을 얹었다. 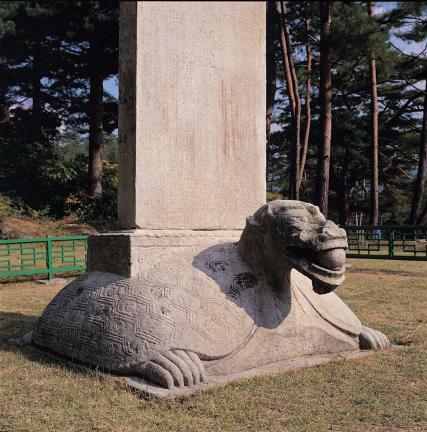 받침돌의 거북머리는 용의 머리에 가깝고, 입에는 여의주를 물고 있다. 특히 발가락과 발톱은 사실적으로 조각되어 있어 눈에 띈다. 반구형(半球形)에 가까운 등은 길쭉한 6각무늬로 채워져 있으며, 중앙에는 비를 꽂아두는 네모난 홈을 마련해 두었다. 머릿돌에는 네 마리의 용이 중심을 향해 마주보고 있다. 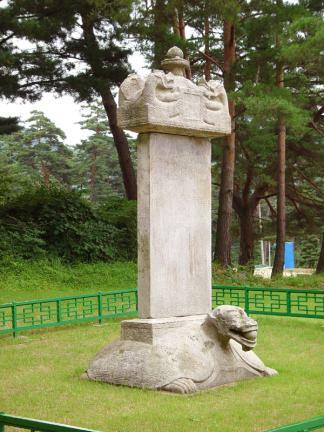 눈, 코, 입은 사실적으로 새겼으나 몸에 표현된 비늘은 약하게 새겨져 형식에 그치고 있다. 비문에는 징효의 출생에서부터 입적할 때까지의 행적이 실려있다. 비문에 의하면 징효는 19세에 장곡사에서 승려가 되어 75세 되던 효공왕 5년(901)에 입적하였다. 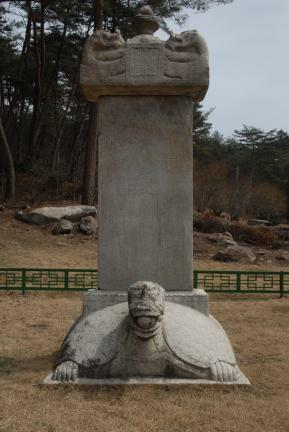 끝부분에는 대사의 공적을 기리는 내용도 새겨져 있다. 이 비는 대사가 입적한지 44년 후인 고려 혜종 원년(944)에 세워진 비로, 글은 최언위가 짓고 최윤이 글씨를 썼으며 최오규가 비에 새겼다. 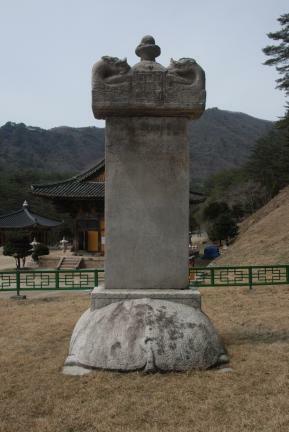 This stone stele, erected to wish for the prosperity of Heungnyeongsa Temple and honor the life and work of the Buddhist monk Jinghyo, is preserved in a nearly intact condition. 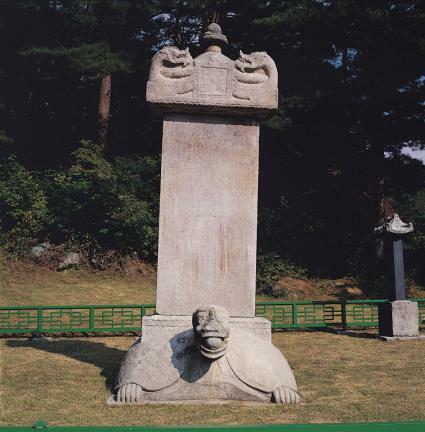 The stele rests on a tortoise-shaped base and is topped by a head stone with sculpted dragon heads. 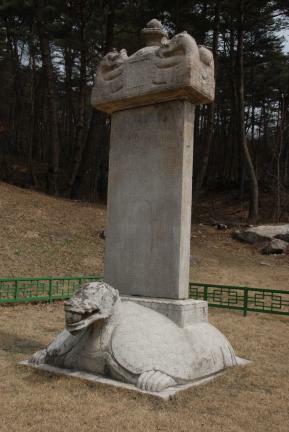 The tortoise at the base has a head that is similar to a dragon’s head and holds a cintamani in its half-open mouth. The paws and claws, sculpted highly realistically, are quite striking. The surface of the tortoise shell, close to a hemisphere in shape, is filled with long hexagonal patterns. 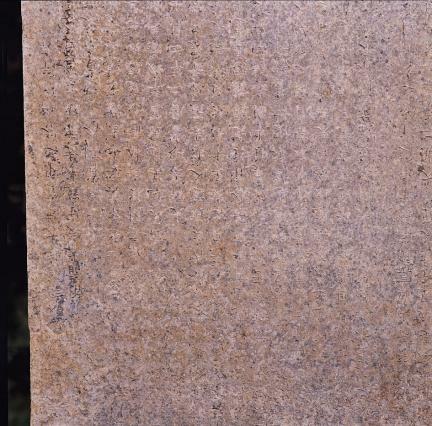 There is a rectangular-shaped hole in the middle for fitting in the stele. 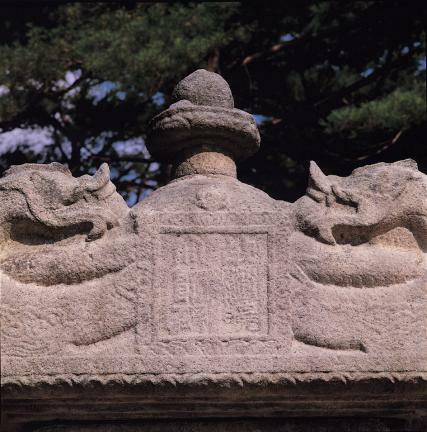 The head stone features four dragons with their heads turned toward the center in a manner to face each other. Unlike the eyes, snout and mouth that are realistic and detailed, the scale on the body of the dragons is cursorily rendered, in shallow carving. 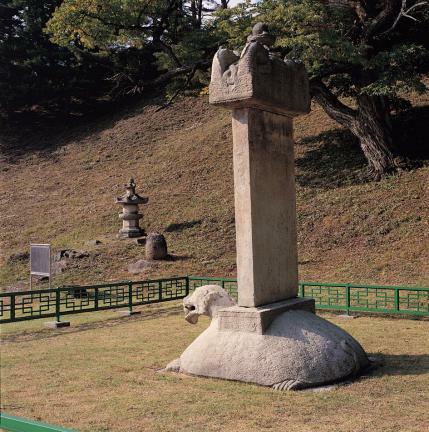 The epigraph recounts the life story of Jinghyo, from birth to death. 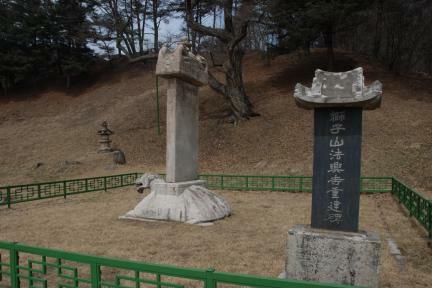 According to the epigraph, Jinghyo entered the priesthood at the age of nineteen, in Janggoksa Temple and died in 901 (the 5th year of King Hyogong’s reign). The epigraph ends with praises on his lifetime achievements. 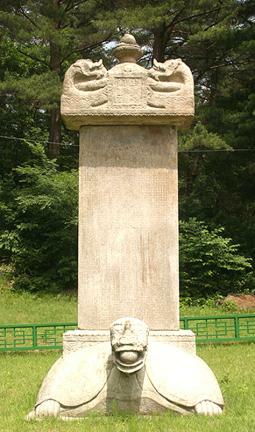 The stele was erected in 944 (the 1st year of King Hyejong’s reign of Goryeo), forty-four years after Jinhyo’s passing. 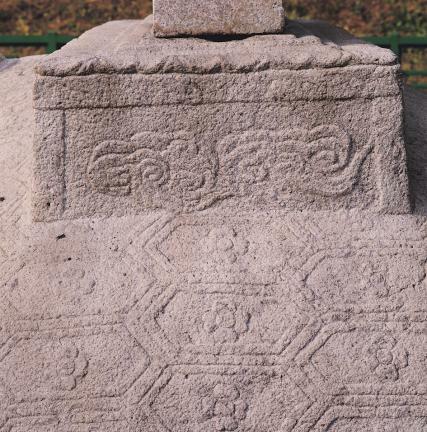 The epigraph was composed by Choe Eon-wi, calligraphed by Choe Yun and carved by Choe O-gyu.